Skyscrapers or high-tech campus  what should replace the Draper prison? Development • Relocating state pen to Salt Lake City spawns talk of high-rises, a high-tech campus. | Draper City Draper City paid for this rendering of what could be constructed on the prison land, but Mayor Troy Walker now wants it to be even bigger, talking about his desire for 50-story buildings. 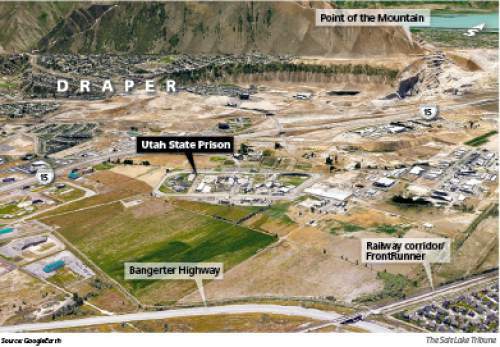 Draper vision Moving of the Utah State Prison would give Draper prime developable land accessible by highways on the north and east. Troy Walker Al Hartmann | The Salt Lake Tribune Senate President Wayne Niederhauser discusses the pressing bills to be acted on in the final day of the 2015 legislative session in Salt Lake City Thursday March 12. 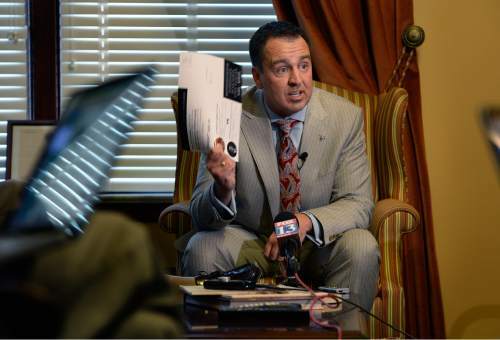 Scott Sommerdorf | Tribune file photo Speaker of the House, Greg Hughes, R-Draper, has been adamant that there are not enough votes to pass the governor's Healthy Utah plan in the House. He has refused to bring the plan out for a committee hearing or up-and-down vote. When planning what should replace the prison after it vacates 680 acres in Draper a few years from now, Mayor Troy Walker is dreaming big. Really big. Like skyscraper huge. 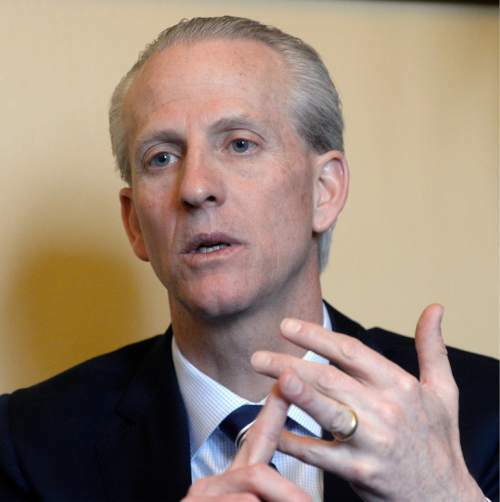 He wants to see multiple 50-story buildings anchor a business district that makes downtown Salt Lake City look quaint. 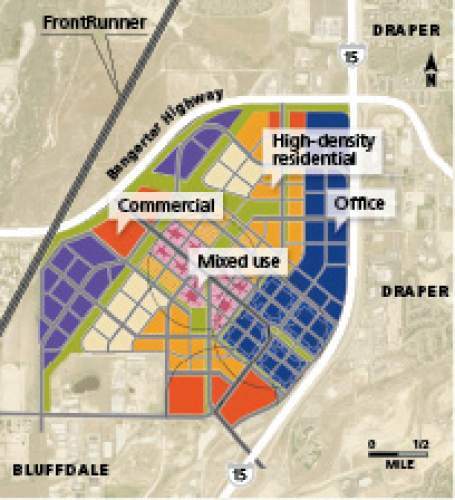 He wants the headquarters of a Fortune 500 company and luxury apartments on the land sandwiched between Interstate 15 and Bangerter Highway. "The city of the future if you will," he said excitedly. "Let&apos;s really do this right. Let&apos;s do it huge. Let&apos;s make it the crown jewel economically." One of the major justifications for the state&apos;s decision to build a new prison in Salt Lake City is that the land in Draper is just too attractive. It&apos;s close to major roads, in a rapidly growing part of the state. Original plans had some businesses, some houses and some malls, but the state has scrapped those for an envisioned high-tech park. Walker wants it all and more. "If I had my way, they would be taller than any building in Salt Lake City," he said. Utah&apos;s tallest building is the Wells Fargo Center, which at 422 feet is just 2 feet taller than the LDS Church office building. If Draper actually had a 50-story building, it would be 300 feet taller than either of those. Sound like the exaggerations of an overenthusiastic mayor? "I&apos;m absolutely dead serious," Walker said. Utah&apos;s legislative leaders are intrigued with Walker&apos;s bigger-is-better approach, while acknowledging that it is far more ambitious than their own ideas. They also have different strategies going forward. Senate President Wayne Niederhauser, an accountant and real estate developer, envisioned a campus-like atmosphere where a few companies would occupy gleaming glass-encased buildings surrounded by well-landscaped green space. Think of Adobe&apos;s building in Lehi, only a cluster of such structures. That&apos;s pretty much what House Speaker Greg Hughes, who represents Draper, also had in mind. Told of Walker&apos;s plan, Niederhauser, who lives in nearby Sandy, was surprised  pleasantly so. "I think that is an interesting concept that would actually get us more money for our property, so I don&apos;t know why we wouldn&apos;t support that," he said. "Go mayor." Hughes said he&apos;s good with what "the market and engineering can handle." Whatever happens on the land won&apos;t happen quickly. The state first must build a prison west of the Salt Lake City International Airport, which has not yet begun. The state hasn&apos;t even purchased the site yet and early estimates are that it will take at least three years before it could start busing inmates from Draper to the capital city. But the Legislature doesn&apos;t want to wait until then to start planning Draper&apos;s future. Niederhauser said the plan is to introduce a bill to create a state-organized authority that will oversee the project. It might have one legislator on the board, but it would largely be outside experts who would act as the "master developer" for the property, in charge of selling or leasing individual parcels. That authority would act in conjunction with Draper city officials. "We want to get the highest price possible for the state out of that property," he said. "And I believe, personally, that is going to be with the state in the position of master developer." But Hughes wants a legislative-controlled board, similar to the panel that decided the prison move. "We don&apos;t want to walk away from it now," he said. "We want to make sure that entire mission is followed through." 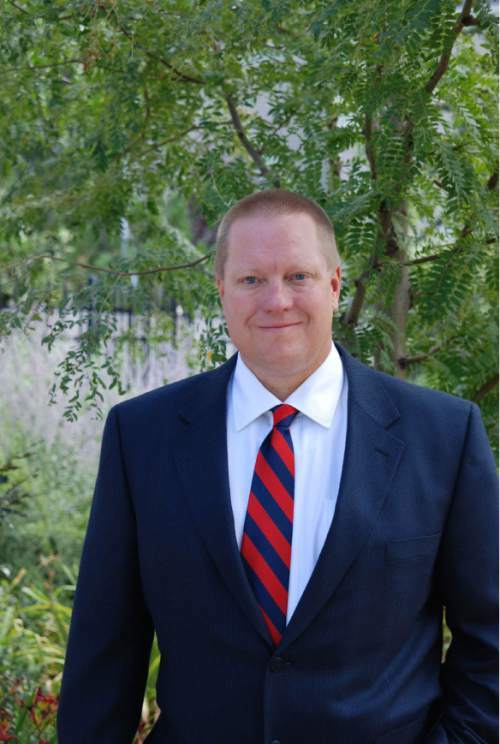 Hughes said the Legislature set forth economic arguments for moving the prison and it is incumbent upon the Legislature to makes sure those projections become reality. 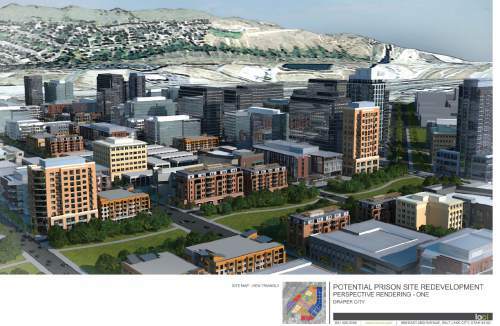 He said offices, more than homes or retail, will provide new tax revenue justifying the cost of moving the prison to Salt Lake City. Walker&apos;s fine with whatever the state comes up with as long as it results in the state selling and not leasing the property. "I think the only choice is to figure out a way to get it on the tax rolls," he said. "If they don&apos;t get it on the tax rolls, then it doesn&apos;t make sense to move it." And by it, he means the 4,000-bed prison complex. From the governor on down to the mayor of Draper, Utah&apos;s political leaders have much riding on making this relocation an economically successful venture.